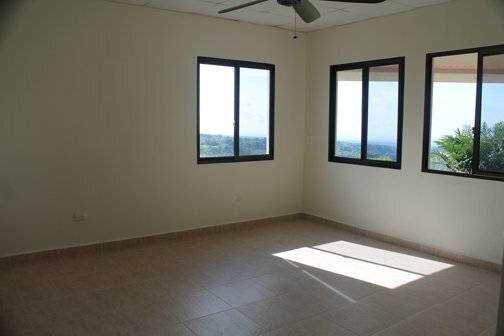 Affordable 2 bedroom Bungalow with ocean and panoramic views. 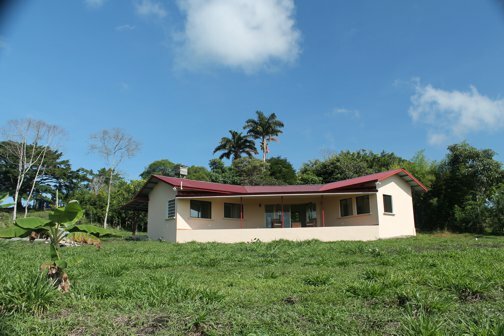 This recently built, 2 bedroom bungalow/rancher is located on a high bluff overlooking the Rio Bregue valley and river. Sadly, a family tragedy means this dream home is being offered at near bargain price. 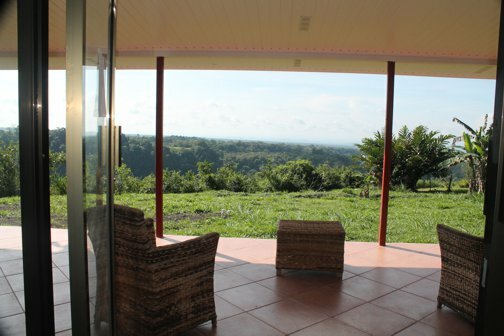 Located about 15 minutes drive south of the popular retirement town of Volcan, Panama, the new owners will have it all- spectacular views down to the Pacific Ocean, views across the southern stretches of Panama's highest mountain peak- eternal spring climate -tropical flowers and plants and finally-peace and seclusion. 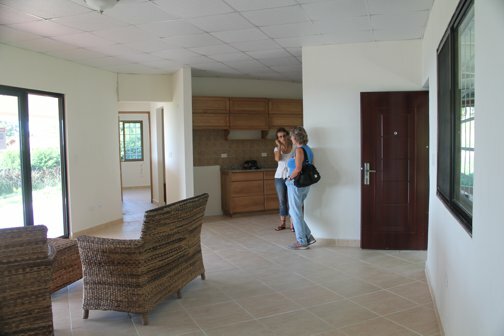 FEATURES: 2 bedrooms with ensuite bathrooms. Tiled floors throughout. Security entrance door and windows. Hot water plumbing. 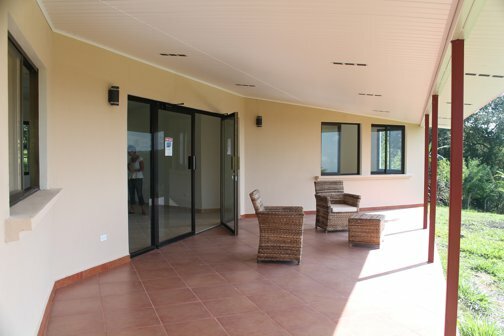 Seismic construction and a wide spacious patio where you can enjoy sunrises', sunsets and the twinkling night time lights of the distant City of David. The house is complete all that is needed is for you to move your furniture in and this will become your dream retirement home. 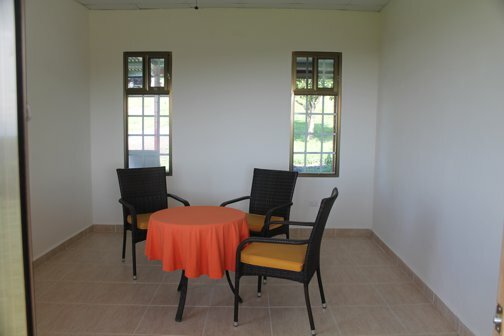 SPECIFICATIONS: The house sits on 4200 square meter lot (approx 1 acre). 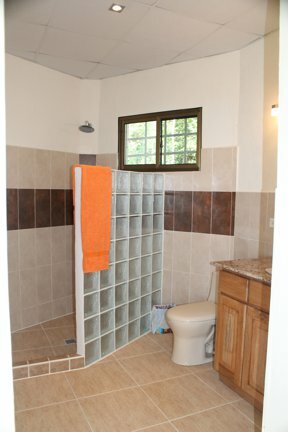 Total construction of 2160 square feet. It is located on the scenic "Orange Blossom Highway" that runs from Potrerillos to Cuesta De Piedra. 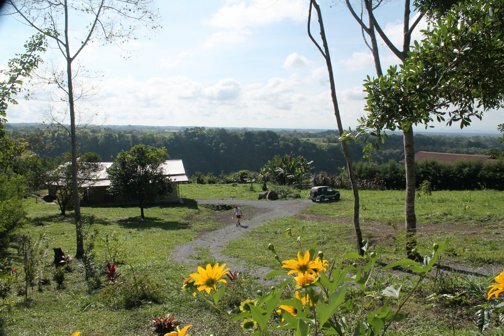 Volcan, with its 8 supermarkets, 3 banks, 3 gas stations and restaurants is just a 15 minute drive away. 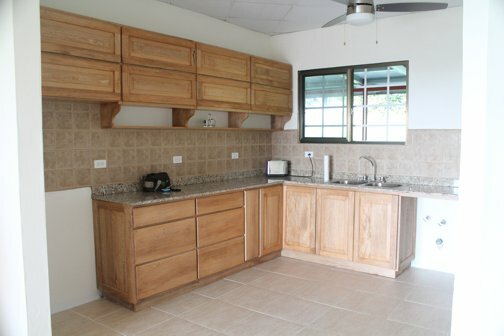 KITCHEN: Has an imported Brazilian gold granite counter tops and locally made custom oak Cabinetry. All the rooms share the wonderful views down to the Pacific Ocean. The eternal spring climate means you will save thousands of dollars because you will never need either air conditioning or heating. On the warm, dry season days, there are three designer fans to make indoor living pleasant and comfortable. The house was built with earthquake resistant construction. Featuring 24 gauge, insulated metal roof and 6 inch, cement filled, block construction. The ceilings are vinyl covered and the roof has been insulated for noise reduction. 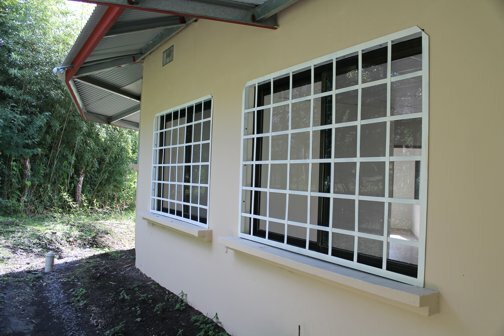 The patio doors feature shatter proof glass. 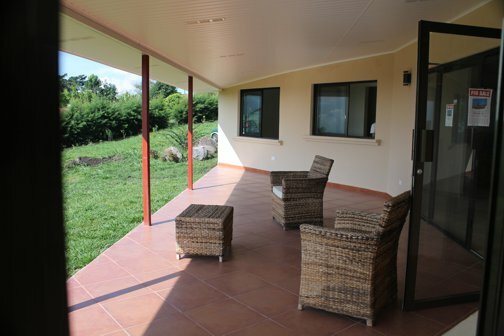 The property has been cleared and a wide variety of fruit trees and plants abound here. The final landscaping will be to the news owners' tastes and design. There is a large ( 4200 liter water tank) coming from a municipal supply. There is a septic field. 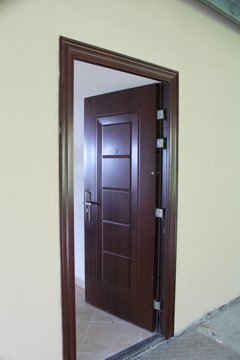 The main front door is a high quality, secure metal door and windows have decorative and secure bars. This is normal for any third world country. 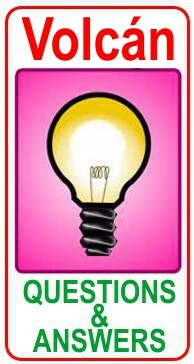 8 supermarkets, 3 hardware stores, 3 gas stations, 2 garden supply stores and over thirty places to eat. Yes. Every Friday morning most of the expats meet for breakfast at MANA'S DELI. We have ex pat musical "Pub Nights" every Saturday afternoon at DEEP FOREST TAVERN. WHAT ABOUT HOSPITALS AND HEALTHCARE?